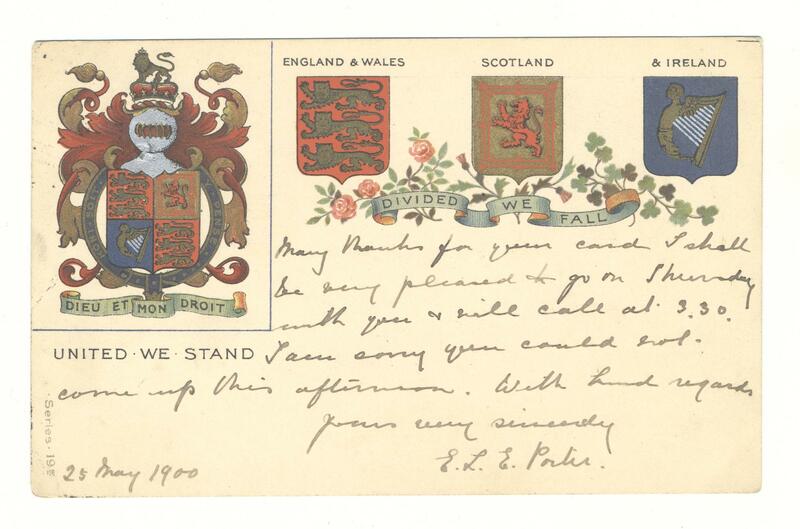 Postcard featuring the emblems of England and Wales, Scotland and Ireland together. 'United We Stand, Divided We Fall.' Post dated 25th May 1900. Addressed to Mrs Guthrie, Eglantine Gardens, Belfast.